When Fred Barnard said that “a picture is worth a thousand words” back in 1927, odds are that he wasn’t thinking about mind maps in higher education, but his idiom was true then and it remains true today. In our classrooms today, one way we can visually display information and paint a picture is by using mind maps (also called concept maps). If you are new to mind mapping, visit http://www.mindmapping.com/ for an explanation of this tool and to review many examples provided there. In a nutshell, mind maps are an easy way to brainstorm thoughts about a topic. You can write thoughts as they come to you and then organize those thoughts into a mind map. So, you are literally mapping out your thoughts and ideas. Ask your students to work with a partner to brainstorm and create a mind map showing their previous knowledge of a topic and then share with the class. Replace an outline assignment with a mind map assignment. Incorporate a mind map into a research project by making a mind map one of the milestones students complete as part of their research. Here is an example of a mind map one of my students created as part of a paper on theories of motivation. The student started with the central theme of motivation in the center, then branched out to the three theories, and finally added key words to show components of each theory, providing a visual map for reference throughout the course. 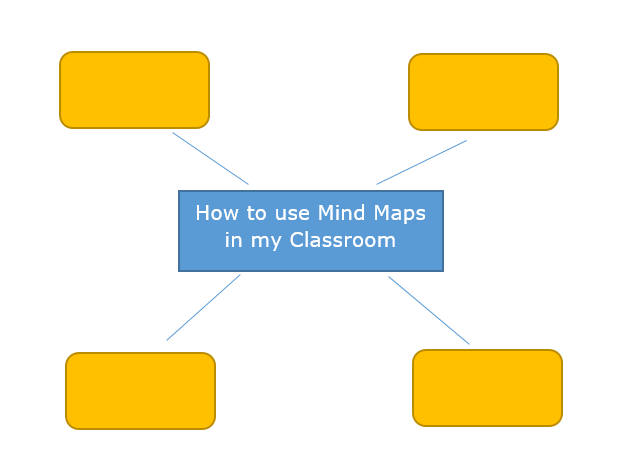 Now, put your pen to paper and create a mind map about ways you can use this tool in your classroom. Begin with the topic Mind Maps in the center, branch out to ways to use this tool, and add key words to show more detail about those ways to use mind maps. I think mind maps and other graphical organizers are super relevant with current internet trends. They're eye-catching, easy to digest, and can add a bit of life to a text-based paper or presentation. As the written word continues to evolve, I'll be interested to see if mind maps or other graphics might also evolve. These are some great tips on how mind maps could be engaging additions to higher ed courses. I don't lean toward visual thinking, but the resources you provided inspired me to give mind mapping a try for my next writing project. Nice work, Barbara!